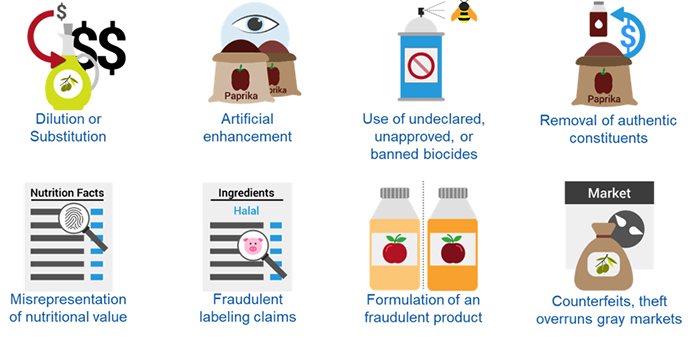 Food fraud happens in many ways, and it can be challenging to categorize the various methods of fraud. 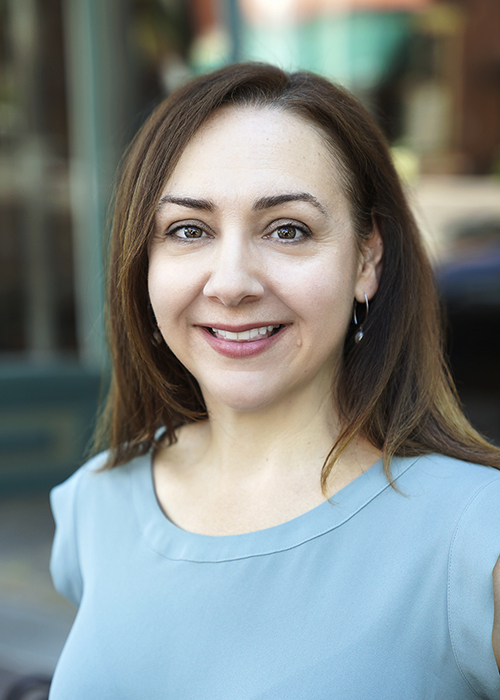 Dilution and/or substitution involves the intentional addition of an alternate product with the intent to replace weight or volume (olive oil, juices and fish are prone to this type of fraud). Artificial enhancement is the addition of a substance that is not intended to replace weight or volume, but to have a functional effect (such as the use of industrial dyes in spices). Certain forms of food fraud, such as theft/resale, counterfeit packaging, or overruns may not involve the addition of alternate ingredients. However, as customers and consumers, we would be taking a risk to trust the safety of any foods that are intentionally misrepresented. 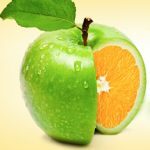 While all forms of fraud can be considered “mislabeling” in one way or another, we consider fraudulent labeling claims to be defined as misrepresentation of a label attribute that implies a particular production technique. Examples include representing non-organic products as organically produced, the sale of foods as halal that do not meet the appropriate standards, changing poultry expiration dates, and labeling products such as eggs and Iberian ham as “free range.” In 2017, a company in Canada was fined for selling falsely labeled kosher cheese. More recently, in Malaysia, millions of products were seized based on the use of fraudulent halal labels. 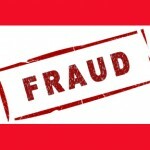 We have compiled more than 300 records of food fraud involving the use of fraudulent labeling claims. The most common fraudulent claims identified in our records are shown in the chart below. 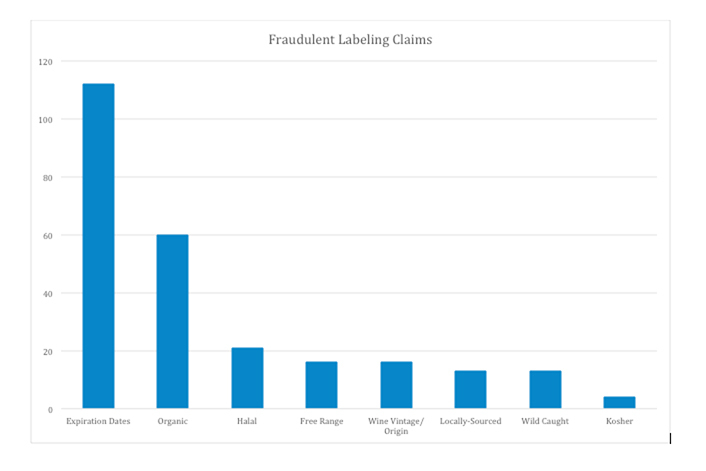 Consumer interest in organic foods is increasing and NSF cites “added value claims” such as organic and free range as one of the important factors driving food fraud risk.2 There continues to be a need for robust analytical tools for the authentication of organic foods. However, recent research has indicated it may be unlikely that authentication of these food products can be can be achieved by a single analytical method or the measurement of a single marker.3,4 Given the technical complexity and cost of ensuring the authenticity of organic label claims through analytical testing, preventing this type of food fraud also requires strong supply chain management and trustworthy supplier relationships along with effective auditing programs. NSF, “Risk Modelling Of Food Fraud Motivation – ‘NSF Fraud Protection Model’ Intelligent Risk Model Scoping Project FS 246004.” (2014). Retrieved from https://www.food.gov.uk/sites/default/files/media/document/NSF%20Final%20report.pdf.